Hello and welcome. It is time for another Freshly Brewed Projects from the Latte Girls. 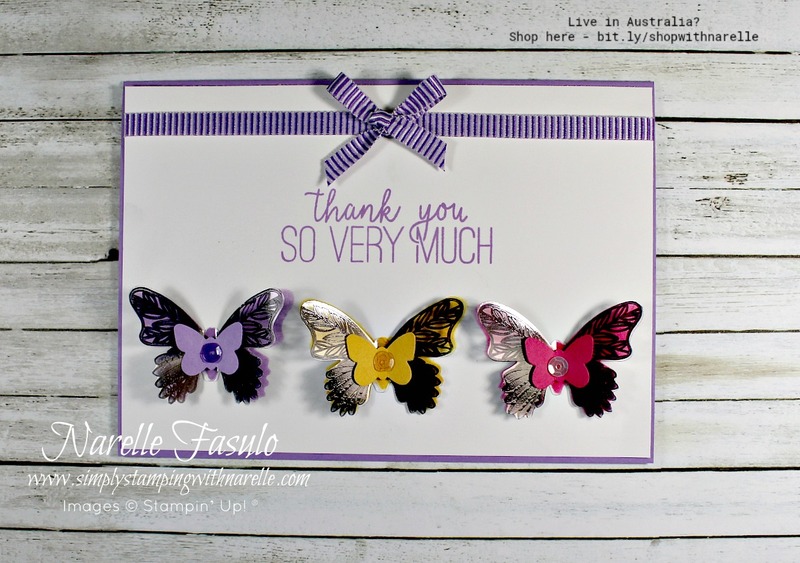 This week we are featuring the very popular Butterfly Gala Bundle. 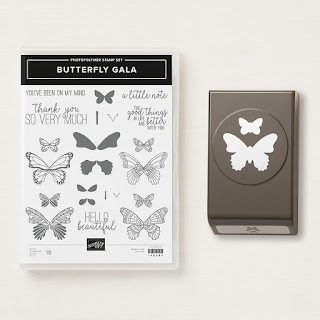 If you haven't seen it yet, the Butterfly Gala Bundle contains the Butterfly Gala photopolymer stamp set and matching Butterfly Duet punch. You can purchase these individually, but you save 10% by purchasing them together as a bundle. I have used these products quite extensively, so if you search Butterfly Gala on my site, you will see a load of samples. For todays' sample, I wanted to do something just a little different. I hope you like it. I decided to stamp the butterflies on our Window sheet so they were transparent. I think in hindsight I should of used a less fussy patterned butterfly. But you can still see the colour through, so I guess it sort of worked how I wanted it to. A side on shot shows the effect better. I really liked how this card came out. 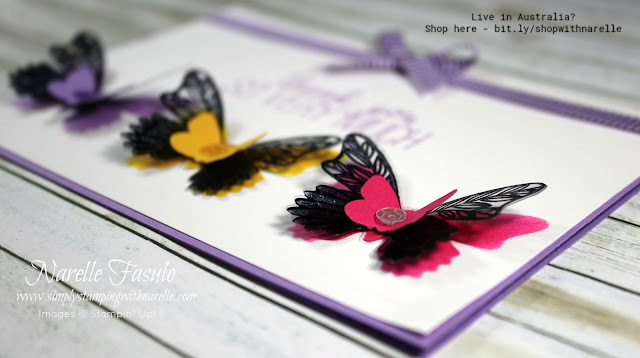 I have loads more ideas floating around my head, so watch out for more Butterfly Gala samples in the future. But for now, it's time to see what the other Latte girls have made.